In 2011, Etanercept (ETA) was approved for clinical application in patients with Juvenile Idiopathic Arthritis (JIA) older than 2 years of age; Adalimumab (ADA) was approved in 2013. However, the available data for these patients are not sufficient even in large-scale registers. In older children, uveitis is a factor taken into consideration when choosing anti-TNF therapy, so we believe that its onset at an early age may affect the efficacy of treatment with different anti-TNF drugs. This study aimed to evaluate the comparative efficacy of ADA and ETA in children of young age depending on their uveitis status. Comparative analysis involved patients who had initiated ETA (n=49, no active uveitis) or ADA (n=25; 13 patients with active uveitis and 12 patients without uveitis) therapy at an age of ≤4 years. Treatment efficacy was evaluated according to the dynamics of clinical signs and laboratory values, the ACRPedi and Wallace criteria. ETA and ADA proved very efficacious in children under 4 years of age already after the first month of therapy according to the disease activity scores, laboratory values, and morning stiffness duration. After 3 months of therapy, the number of affected joints was substantially reduced in all three groups (p<0.01). The percentage of patients who had achieved ACR50/70/90 by the end of the follow-up period was 42/41/38 (85.7/83.7/77.6%) in ETA group, 10/10/9 (76.9/76.9/69.2%) in ADA group with uveitis, and 9/7/5 (75/58.3/41.7) in ADA group without uveitis, respectively. A comparable proportion of ETA patients and ADA patients with uveitis achieved remission (26 (53.1%) and 7 (53.8%), respectively), while only 3 (25%) of ADA patients without uveitis achieved long-term clinical remission (p-values are insignificant). In children younger than 4 years, ADA shows higher efficacy in patients with uveitis as compared to those without uveitis. Children without uveitis show a better response to ETA, although there is a risk of de novo uveitis. Therefore, ADA is the drug of choice for children with uveitis under 4 years of age, while ETA is preferred in children without uveitis. 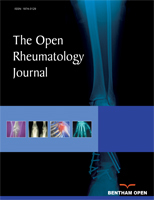 Keywords: Adalimumab, Etanercept, Juvenile idiopathic arthritis, Uveitis, Biologics, CRP. © 2019 Alexeeva et al.